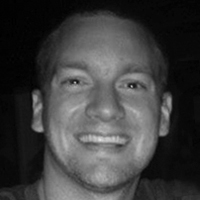 Dustin has 14 years under his belt as an art director in the design, print, media and lacrosse industry. Dustin was a Visual Communication and Design major at Villa Julie College in Baltimore (now Stevenson University) from 1999 to 2002. He has designed everything from high-end restaurants, signs, cars, interiors, custom lacrosse products, Nike athletes, clothing, logos and packaging. He has always pushed the envelope from design to print. He is a born and bred entrepreneur with the drive to motivate people around him to be great. Passions include his wife and 2 year old daughter, snowboarding in the winter, hanging on the Susquehanna river in the summer and playing golf. Loves taking new products and projects to market from start to finish. Tyler started at StylinStrings as an intern in 2012 training under Dustin. At the rate StylinStrings was growing he was hired full time after graduating from the Art Institute in 2012. In a short year after being thrown into the fire, Tyler had progressed into a full-fledged asset for designing apparel. At the start of 2014 Tyler had moved up to Sr. Graphic designer under Dustin's Art direction with the addition of our third designer Brie. 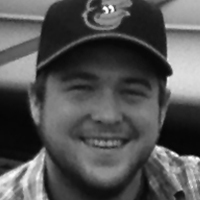 Tyler's interests include kayaking, hiking, camping and Baltimore Sports. He also has been developing his own clothing line called Happy Mountain Outfitters. We originated in 2001 as a Design, Printing and Custom Lacrosse Stick Manufacturer. Our stock clothing line was launched in 2005 at the U.S. Lacrosse Convention with 5 styles of screen printed t-shirts, longsleeves, hoodies and hats. After this launch we started designing t-shirts for local lacrosse teams and local businesses. We had been designing logos for brochures and print materials since our inception. As our designs started to gain local interest we began offering this service nationally. This spilled into manufacturing actual team uniforms in 2007, a time when tackle twill and dazzle was popular. The explosion of lacrosse apparel started in or around 2010 with dye sublimation where designs went directly to fabric. As the market and demand grew we started researching different types of polyester fabrics, the best dye sub inks, sew patterns and cut styles for mens and women's clothing. In 2012 we dove head first into the manufacturing of lacrosse uniforms primarily for U-15 and under youth programs. The more we learned, the more we started to create our own templates and styles to achieve the best fit possible for comfort and sizing. Today, we have stepped out of being a lacrosse only apparel company to take the same research and development into a product line that can cover multiple sports. We continue to push the envelope creating garments from scratch with our full development and design team. If you have a team, a sports facility, or even corporate apparel and have an interest in a completely custom look, we are the right fit for you. Our products are now found in retail stores in some of the biggest facilities in the country. We look forward to creating long-term relationships and delivering a product you can feel good wearing.